On your wedding day, the bride has lots of accessories to sort out: her train, veil and dress, as well as her bouquet. The groom’s most noticeable accessory is his tie. Choosing the right tie means more than just picking a color; since ties come in different styles, thicknesses, and lengths, you’ll also have to figure out the best way to tie it. Let’s explore the 10 best wedding tie knots. We’ll start with the basics for the first five tie knots on our list. The Windsor is the classic: 1. To start, put the thick tail over the thinner tail of the tie. 2. Take the thick tail behind the thin tail and bring it down through the loop between the tie and your neck. The thick tail is now on your right side. 3. Take the thick tail through the loop and behind the knot. The thick tail is now inside out. 4. Place your finger over the knot and move the thick tail over the tie knot and back up the loop. 5. Take the thick tail back through the loop in the center of your knot. 6. Use both hands to tighten the knot to the collar. This is a smaller, more basic version of the Windsor. Position the thick tail on your right and the thinner tail on your left. The thick tail will move: 1. Over the thinner tail to the left. 2. Under the thinner tail, to the right. 3. Up and towards the center—towards the neck loop. 4. Through the neck loop and over to the left. 5. Across the front of the tie, over and towards the right. 6. Now up and into the neck loop from below. 7. Down through the loop in the front. 8. Now pull down on the thick end to tighten the knot. Adjust the tie by sliding the knot up. One of the most simple of the 10 best wedding tie knots, the Four-in-Hand gives a classic look with very little effort. The thick tail should be placed on the right, with the thinner tail on the left. The thick tail will be moved: 1. Over the thin end toward the left. 2. Under the thin end and towards the right. 3. Across the front of the tie and over to the left. 4. Upward into the loop (from underneath). 5. Now down through the loop in the front. 6. Finally, pull down on the thick end to tighten and adjust by sliding the knot up. Why make things more complex than necessary on your big day? The Nicky Knot creates a symmetrical look with very little fuss. 1. Place the thick tail of the tie to your right side and thinner tail to the left. (The tie should be inside out.) 2. Bring the thinner tail over the thick tail. Note the three areas: you have a Left, a Right and a Center. 3. Take the thick tail over the thinner tail to the Center area. 4. Take the thick tail down from the Center area to the Right. 5. Take the thick tail over the knot from the Right area to the Left. 6. Take the thick tail under the thinner part of the tie from the Left area to the Center area. 7. Take the wide tail down and bring the loop in front. See that the knot is tight. 8. Tug the thinner tail down with one hand. With your other hand, move the knot up and adjust. For a versatile, formal, medium-sized knot, the Pratt Knot is a great go-to. You’ll want to start with your tie inside out. Move the thicker tail: 1. Under the thinner tail and to the left. 2. Up to the middle and towards your neck loop. 3. Through your neck loop; down and to your left. 4. Now across the thinner tail and to your right. 5. Next, upwards into your neck loop from below. 6. Almost done! Down through the loop in the front. 7. Finally, pull the thicker tail to tighten and adjust by sliding the knot upwards. Up until now, we’ve covered some very simple knots in our list of the 10 best wedding tie knots. But what if you want a knot that’s more complex? The Eldridge Knot is a great place to start. Eye-catching and sophisticated, the Eldridge involves 15 steps. Don’t get discouraged, however! With plenty of practice (and by following the instructions in the video), you’ll be an Eldridge expert in no time. While it might take work, the result will be a long, triangular knot with braided layers. Already familiar with the Pratt Knot? Why not up the ante, then, and reverse it into an Atlantic Knot! This knot stands out from the rest because it displays all of the intricate knot work that is typically hidden away on the back of a tie. While it’s more of an informal knot, depending on your wedding, it could be the perfect way to accessorize a more laid-back event. Best of all, the Atlantic Knot can be completed in only nine steps! 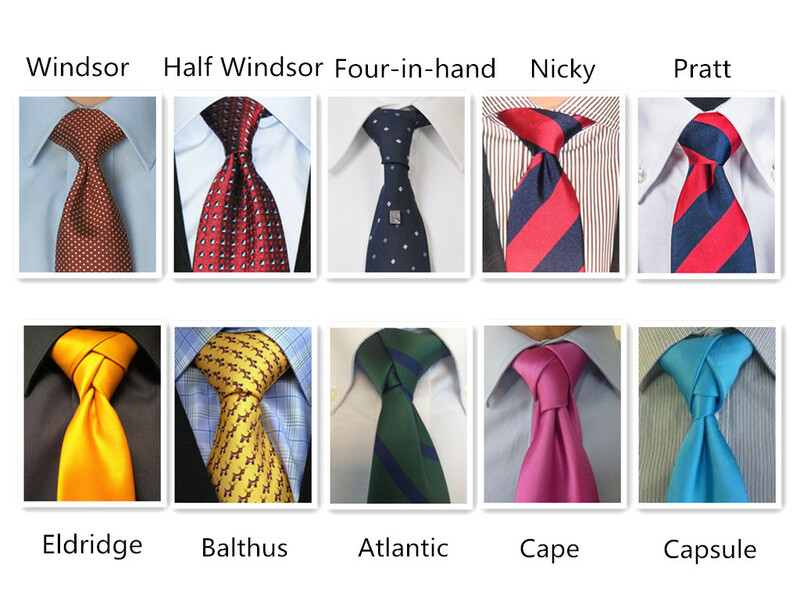 Lots of tie aficionados prefer the Cape Knot to the Atlantic Knot, as they feel the Cape simply looks better. The Cape Knot is at its absolute best when used with a mono-colored tie. It can also be used with paisley ties or ties with a light pattern, but do avoid using this knot with striped ties (as once the knot is complete, the stripes will interfere with the symmetry of the Cape Knot’s design). Thicker ties are best with the Cape Knot, as long as they are a standard length. Finally, let’s get just a bit trickier. Elegant and seemingly simple, the Capsule Knot is one of the more difficult knots to tie. If you’ve become an ace at either the Atlantic Knot or the Cape Knot, you’ll have the basics down for the Capsule Knot. This handy video will fill you in on the extra steps needed to master this knot, which is best worn with a collar opening that is semi-wide. 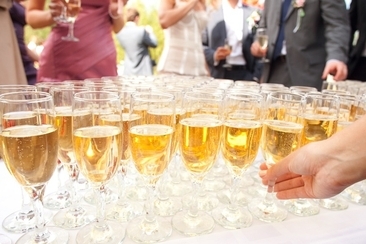 How much alcohol for a wedding? And what type of bar should I opt for? If you need answers to these questions, check out our tips and solutions on the topic of weddings & alcohol! Looking for the best diamond engagement rings? 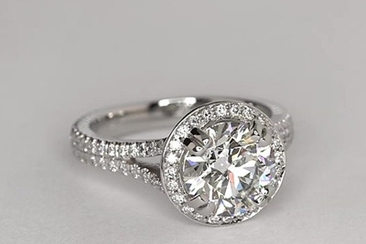 Our editor’s top picks will surely give you all the ring-inspiration you need as you scout for the best diamond ring. Do you want to give the best look to your wedding reception, but are lack of unique ideas? 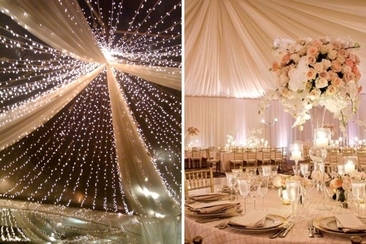 Here we have shortlisted a few best inspirations for wedding ceiling decorations. 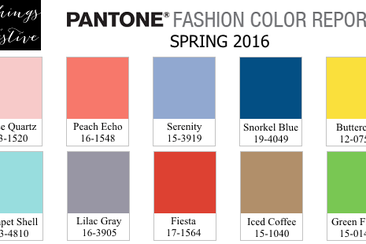 They are back on this 2016. The American Horror Story couple, Evan Peters and Emma Roberts, has given their love another chance. Would they really get married this time? 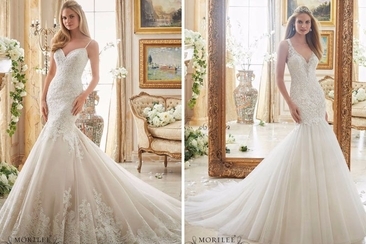 Curious about the cost of Mori Lee bridal gowns? If you are looking for a Mori Lee gown that won’t break your budget, then read on to get all the information you need.